BFT Sub BT 24v (hydraulic) Underground Kit. 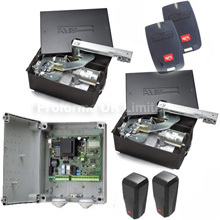 Heavy duty hydraulic underground kit suitable residential, multi-user & commercial swing gate applications. BFT Sub (hydraulic) Underground Kit. Heavy duty hydraulic underground kit suitable for domestic & commercial applications. BFT Eli 250 (electromechanical) Underground Kit. Mechanical underground motors suitable for domestic applications. BFT P7 - P4.5 (hydraulic) Arm Kit. BFT Giuno Ultra BT (hydraulic) Kit. Heavy duty 24V hydraulic motors for swing gates with a heavier design for larger gate leafs. BFT Oro (electrohydraulic) Arm Kit. 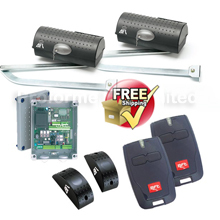 Electrohydraulic gate mounted motors for use with residential swing gates. 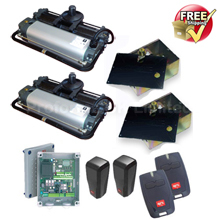 Either 240V or 24V low voltage electromechanical gate mounted motors for use with residential swing gates. BFT Virgo (electromechanical) Articulated Arm Kit . 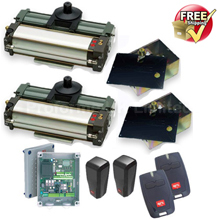 Either 240V or 24V low voltage electromechanical gate mounted motors for use with smaller residential swing gates. 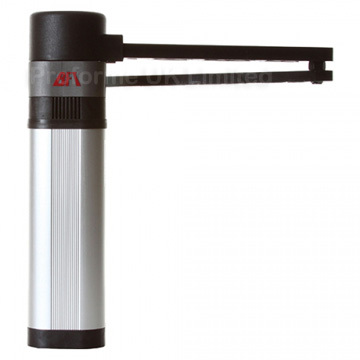 BFT E5 operator, small articulated arm motor. 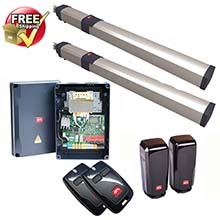 BFT Deimos Sliding Gate Kit. 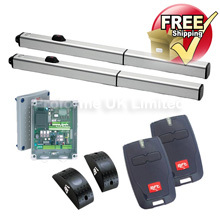 Mechanical sliding gate kit suitable for residential applications. 240v & 24v 500 & 700kg. 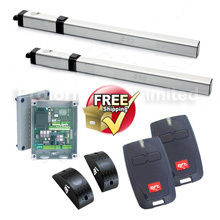 BFT Ares 24V Sliding Gate Kit. 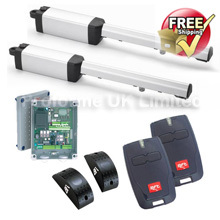 Mechanical sliding gate kit suitable for multi user and industrial applications. 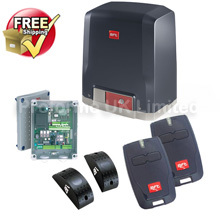 BFT Icaro 240v Sliding Gate Kit. 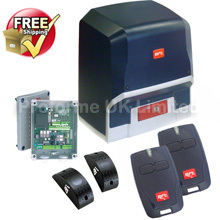 Mechanical sliding gate kit suitable for commercial & industrial applications. 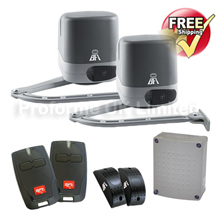 BFT Garage Door Opener Kits. 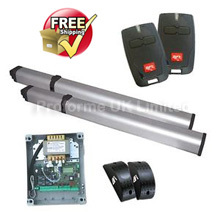 Mechanical garage door kits suitable for single or double garage doors, belt or chain driven available. 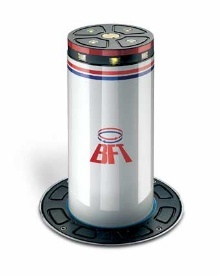 BFT Stoppy Traffic Bollard Kit. Underground rising bollard in galvanised steel. With signal indication lights which can be set as fixed or blinking. 3m - 4.5m - 6m. 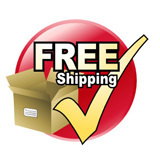 Stock where parts and also end of line stock are still available . BFT MOOVI Traffic Barrier Kit. 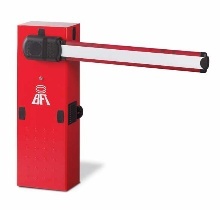 240v electromechanical barrier, rectangular boom, 1.5 - 8 second opening times. BFT BGV Traffic Barrier Kit. 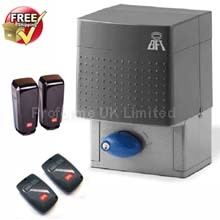 240v electromechanical barrier, round booms available, 3 - 12 second opening times. 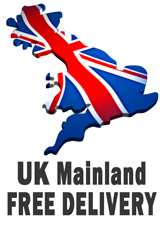 Free Mainland UK Delivery Available On Specified Kits and Motors.